Put on your parka and join the party! We’re embracing the colder weather with an outdoor winter celebration featuring a hot chocolate bar, photo bus, ice sculptures, live entertainment and more! Make your own s’mores and enjoy other sweet treats at the Bittersweet Homestead truck. Shop pom hats and other knitwear at the Sh*t That I Knit truck. 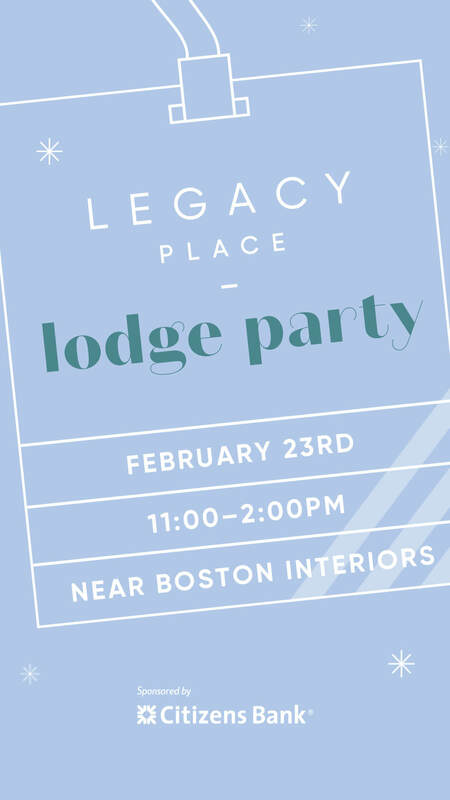 Don’t miss out as we bring the cozy winter vibes of the apres ski scene to Legacy Place. Plus, enter-to-win lift tickets for the whole family, to Mount Sunapee, the largest New Hampshire ski resort closest to Boston. And let’s be honest, February in Massachusetts can get a little…bleak. So check our our Winter Survival Guide full of ideas and deals to keep you busy all winter break long.